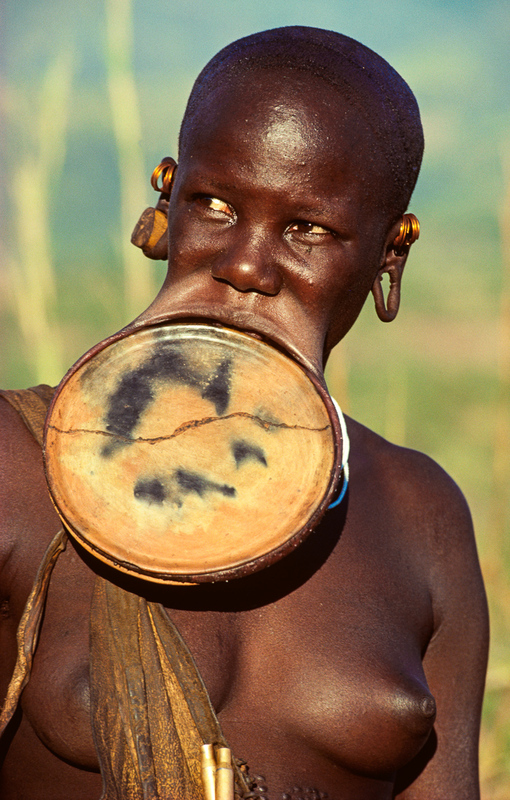 A Surma bride from Ethiopia wears a clay lip plate, which is inserted six months before marriage. The size of the lip plate indicates the number of cattle that a young man must pay her family for her hand in marriage. This bride wears a plate revealing the bride-price of 75 head of cattle.